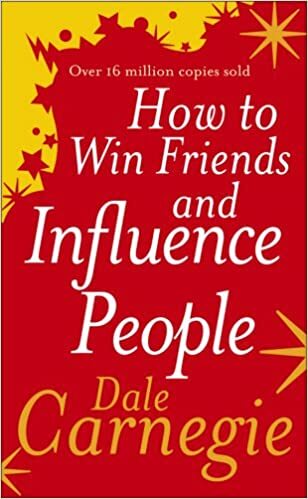 In How to Win Friends and Influence People, Dale covers the super-important topic of human relationships and influencing people to get what you want. Each of the parts covers the core principles on the topic and have an entire chapter dedicated to them. Yellow - this book is like a coal mine where, by fortitude, you strike on gold once in a while. Confused? Allow me to explain. This book was written a long long time back when the genre of self-help books didn't exist, there was barely any researched material on human relationships and even modern psychology was in its nascent stages. At that time Dale identified a need and put together an excellent book. The only problem is that the 'principles' are observation driven wisdom, not scientifically validated facts. Some of the principles are very true - pure gold - clear must do - and, some of them are also pretty much common sense now. Others, not so - coal, that too poor quality. Generally, the book will teach you how to be a 'sweet-mouthed' devil, like a lot of salesmen, unfortunately, aspire to be. Others may end up being misguided by what's inside. So, your call! Like us on Facebook https://www.facebook.com/RealHappinessCenter for more amazing stuff.